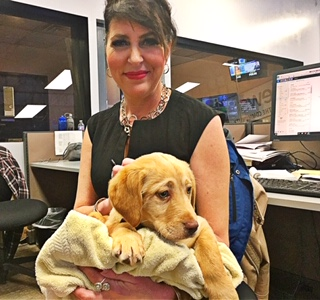 More and more people are discovering a love for bourbon, and Holly from Divas and Dogs for PAAWS stopped by to tell you where you can discover some new bourbons to enjoy! Find some new bourbons to love, share and enjoy! Guests will spend an evening of bourbon discovery, and will enjoy bourbon and food pairings specially prepared by Acropolis. All proceeds will benefit PAAWS No-Kill Animal Rescue. If you are interested in being a sponsor for our event, please contact Holly Anderson at 812-449-9714 or Carla Kratz at 812-455-0243. Tickets are $75 and can be purchased here. Like what I do? See more on Evansville’s YouTube Channel, The Best Day Ever Evansville Channel. And find that epic city calendar at The Best Day Ever Evansville. Paws for a Vet Is This Saturday! Are YOU Up for the SWAT Challenge? Help Take Back the Night! Freshen Up Your Look With New Makeup Trends! © 2015-2019 Bayou City Broadcasting Evansville, Inc. All rights reserved.